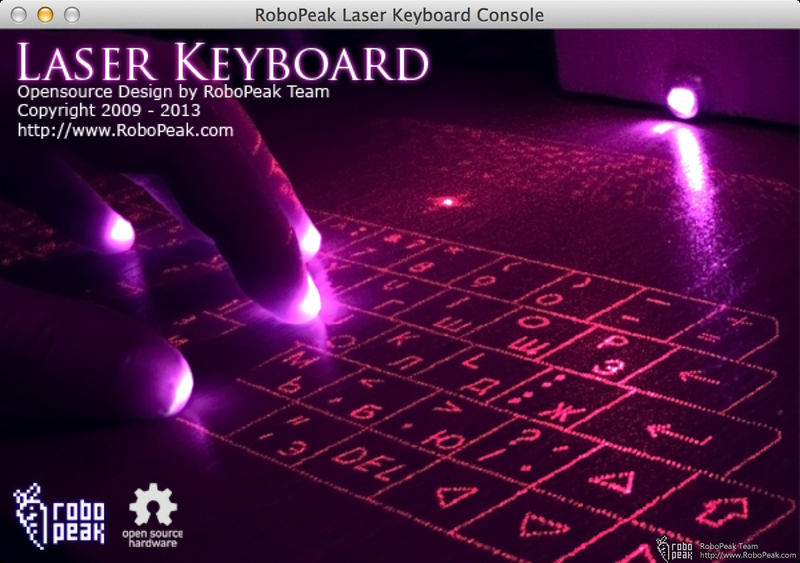 Currently, the full source code of RoboPeak open source laser projection keyboard design has been published on Github. 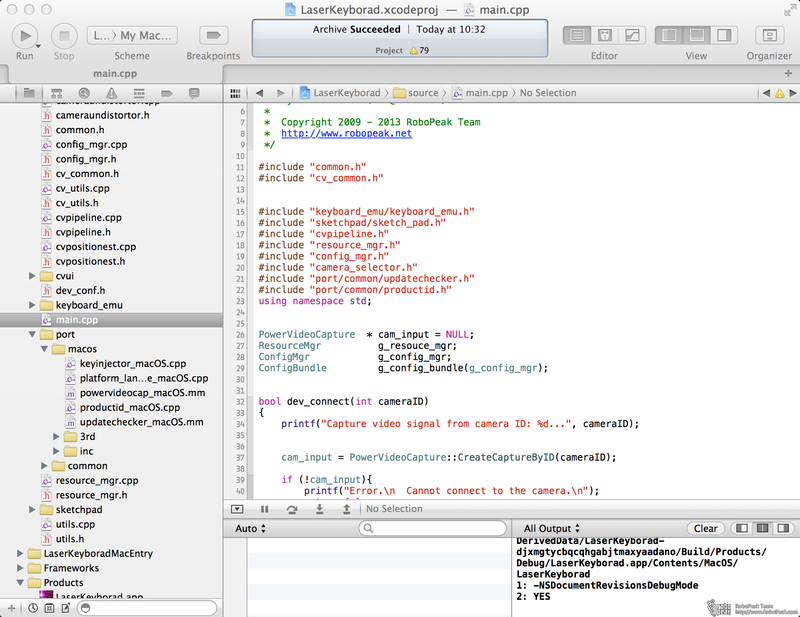 The released source code applies the LGPL license. You can freely use the code and modify it as long as you follow the terms described in LGPL. This article describes how to compile the source code of the signal processing software for RoboPeak Laser Projection Keyboard on Windows and MacOS systems. Besides, some in-depths implementation details are provided to help you understand the source code and make cool modifications. Firstly, compiling the source code allows you to experience the latest features which hasn’t been included in the stable release version yet. You can be the very first personal to trail these cool features. Secondly, if you want to make some modifications/improvements to the current design, compiling the source code is the first step. Thirdly, if you find our released signal processing software cannot work on your system, compiling the source code by yourself may be a quick solution before RoboPeak team release bug fix to your issues. Besides the above requirements, we also assume you have some basic ideas related to software developement: e.g. 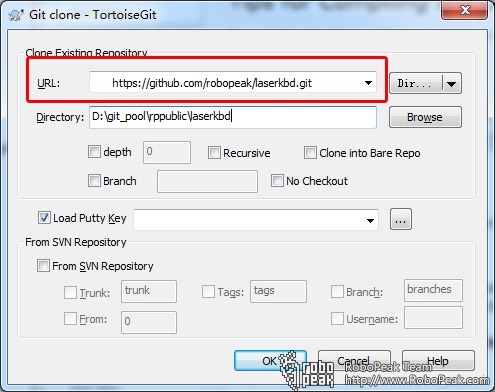 how to compile a C++ program on Windows/MacOS, what OpenCV is , what GIT is , etc Also, you need to clone the latest source on github. The signal processing software build by your own is ready to go now! 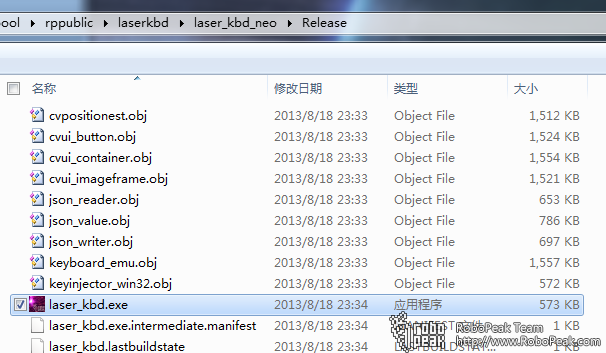 Enter the folder laser_kbd_neo/xcode, open the project file: LaserKeyborad.xcodeproj. 2. How to port the code to other platforms? 3) there is a clean interface between the platform independent code and the target specific code. As openCV doesn’t provide interface to allow user code to control a camera’s exposure value. The port layer should implement it. The interfaces to the target specific code are defined in the header files under the src/port/common folder. If you really want to do the port work, you should start from that place. Also, the existing Windows and MacOS port layers are good reference for you. 3. how to change the keyboard layout? 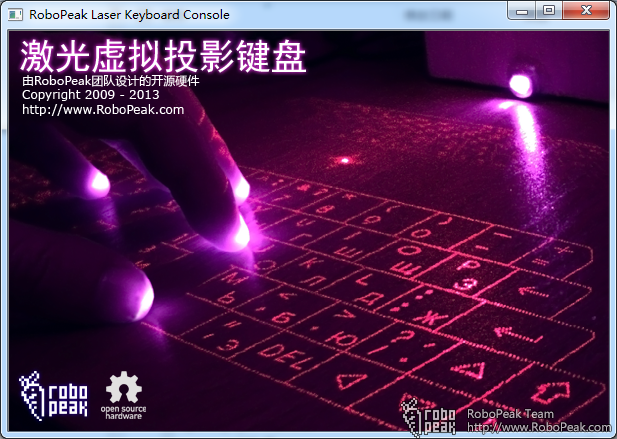 The code inside the file src/keyboard_emu/layout_provider.cpp controls the keyboard layout used by the software (the actual keyboard layout projector should be changed as well). You can modify the _key_mapper array to change the layout. 4. how to add sound feedback when a “key” has been pressed? This feature has been implemented on Windows target. As the way to playing a sound is target specific, it is recommended to implement the code inside the port layer. 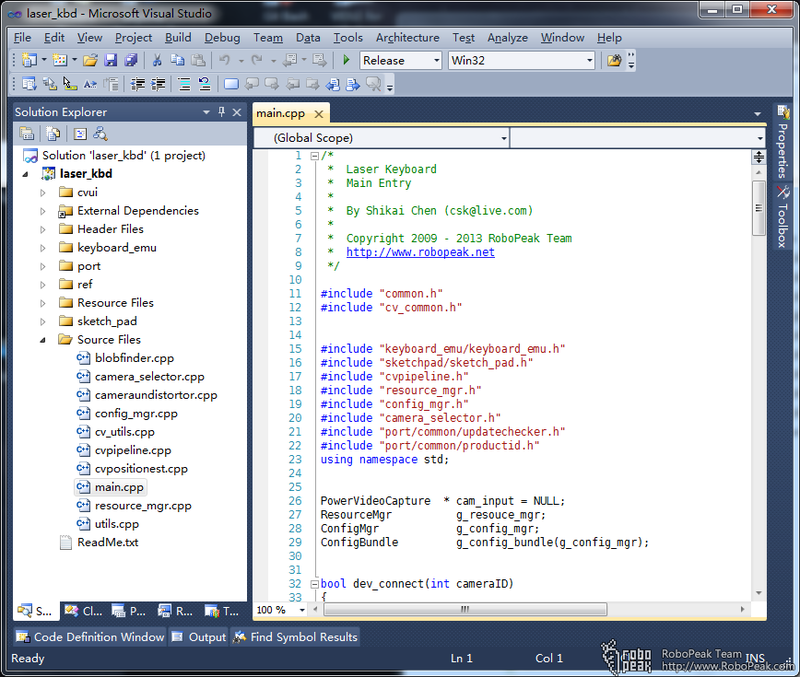 Here is the example to show you how to do this on Windows platform. In the example, we choose a wav file called type.wav. When user press “keys”, Windows will play the sound. The interface OSKeyInjector::injectKeyEvents defined in the port layer will be invoked when user pressed “keys”. It should be a good place for us to added the sound feedback.